Recently, I took a quick drive up to Cleveland, OH, which was my first time in the prominent Great Lakes city. Admittedly, I only knew as much as the internet had told me of it. 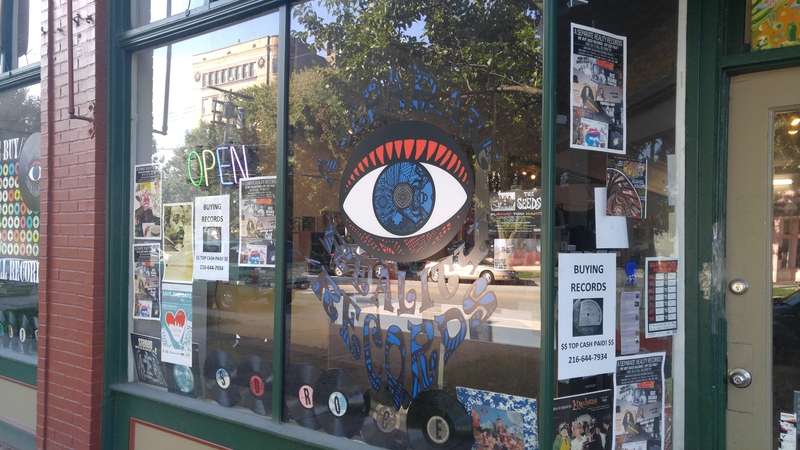 As I usually do when exploring a new city, I set aside some time to hunt for film-related used media: soundtrack records, DVDs, VHS, laserdiscs, etc. 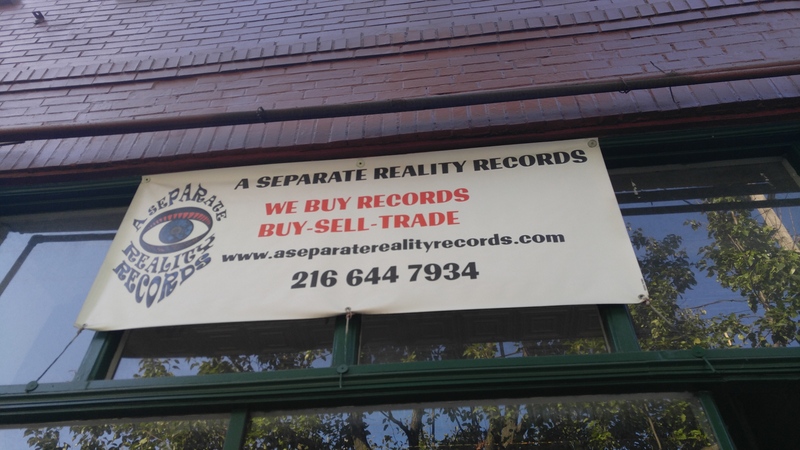 One of my stops in the city was a trippy little record store called A Separate Reality, which initially stuck out to me due to its prominent eyeball logo. 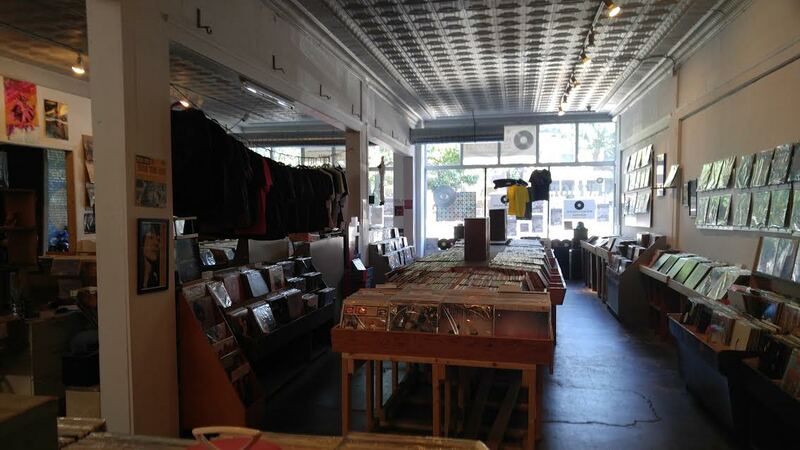 While A Separate Reality doesn’t have any movies among its considerable inventory, this is the kind of record store I always hope to find. The selection of vintage soundtracks was as massive as it was eccentric, featuring everything from science-fiction classics to italian horror flicks to blaxploitation legends to children’s films. The selection included so many notables that I’m only going to spotlight only a handful of them here, and recommend that people check this place out on their own. 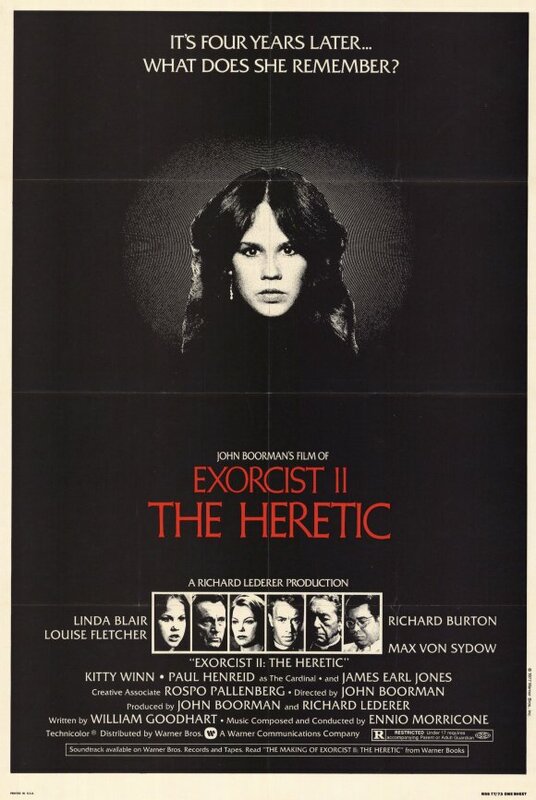 The Exorcist II is one of the most infamous Hollywood failures of all time, and a movie I have covered on the blog before. However, it also features a score from famed composer Ennio Morricone, who recently (finally) won an Academy Award for The Hateful Eight. However, if you are a fan of his work on movies like The Thing, Once Upon A Time In The West, or Once Upon A Time In America, you might be in for a shock with his score here. 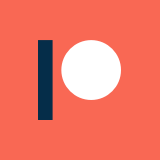 It’s…well…distinct. 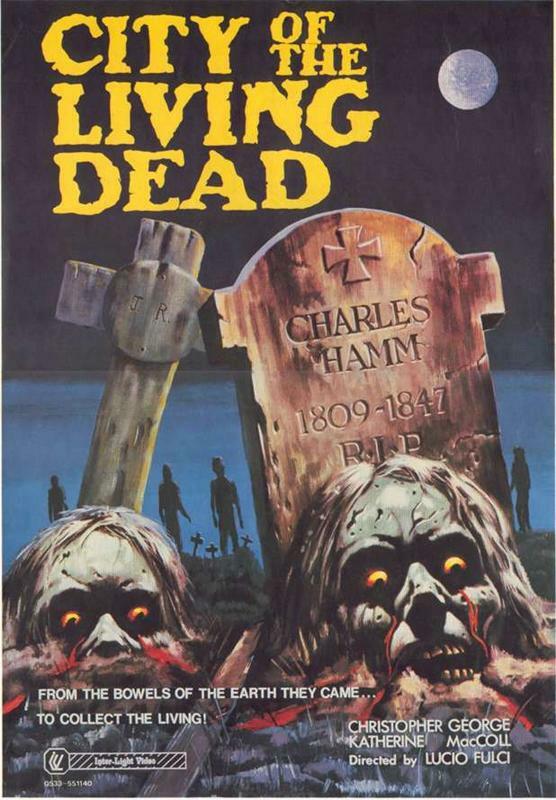 City of the Living Dead is a 1980 film by Lucio Fulci. The score was composed by Fabio Frizzi, a frequent Fulci collaborator who also provided music for his films A Cat In The Brain, The Beyond, and Zombie, as well as the bizarre 1977 Italian version of Godzilla by Luigi Cozzi. 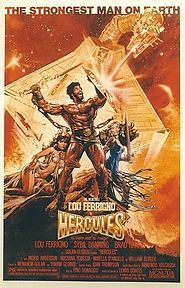 Hercules is a 1983 movie directed by Luigi Cozzi for Cannon films, and stars Lou Ferrigno as the legendary demi-god. Even if you haven’t seen this movie, you may have been exposed to the infamous clip of Ferrigno throwing a bear into outer space. I did a full write-up on this bizarre movie a while back, and I highly recommend it. The score for Hercules was provided by Pino Donaggio, who is probably best known for his work with Brian De Palma (Carrie, Blow Out, Raising Cain, Body Double, Dressed To Kill) and Joe Dante (Piranha, The Howling). Americathon is a strange relic of a movie, that could only possibly come from 1979. It is a satiric future vision of a United States dominated by Jimmy Carter and liberals, with a focus on environmentalism to the detriment of private business and the national debt. It is a weird window into an America before the Reagan presidency, and looking at it now is kind of bizarre. There is a whole lot of xenophobia and racism baked into this feature, and it doesn’t seem to have much of a point to it, but from a socio-political lens, it is an interesting movie to observe. I first caught this movie at the 2016 B-fest in Chicago, and it is one of the features that has most stuck with me. However, that is admittedly mostly because Meat Loaf fights a car in it. The politics are kind of interesting too, though. The soundtrack includes tracks from The Beach Boys, Eddie Money, and Elvis Costello, among a handful of others, which makes it somewhat notable.